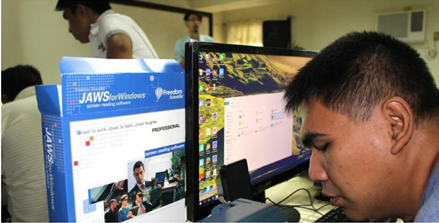 RESOURCES FOR THE BLIND, INC.
"Because of this project, there is no reason for the LGU not to support the program. We are going to replicate this in the LGU for sustainability." 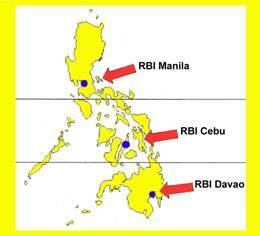 WELCOME TO RESOURCES FOR THE BLIND, INC.
We are a non-government Christian organization serving blind people all over the Philippines since 1988. We have devoted ourselves to removing the obstacles and providing the services, trainings, materials, and equipment needed in order for them to reach their fullest potential in life. 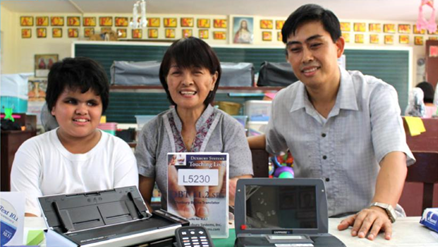 With over half a million visually impaired in the Philippines, we continue to reach out to those who are in need of our services. Working together with the Lord, we aim to turn darkness into light for thousands of our blind friends in every corner of the country.